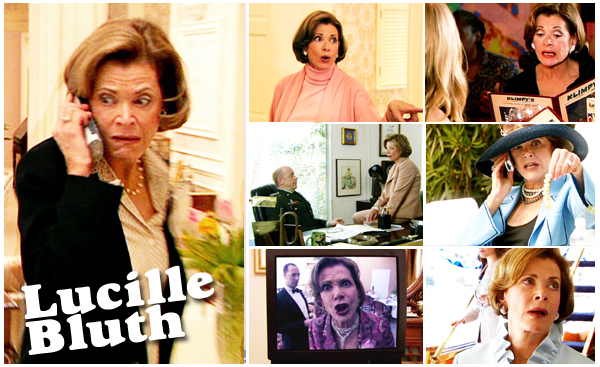 If you don’t know who I’m talking about, Lucille Bluth is a great character from the show “Arrested Development” (played by Jessica Walter). I you don’t know the show, you should watch it online somewhere! It’s my all-time favorite series. Unfortunately it was cancelled after 3 seasons… She loves to drink early in the morning, spend money on fur, helicopter-parent her youngest son, make snide comments about her daughters weight and the country club (but not when she only has a pool membership! hmpf). In short: she’s the best horrible mother ever! The dress doesn’t look too hard, since it’s not fitted. I’ve never done a cowl neckline before though (which is the one I would want to make) so that might be a bit of a challenge (makes it more fun to do! ), as well as the raglan sleeves! Don’t know what color I’d make this in. I like the blue-ish green of the printed dress on the envelope, so maybe a solid blue-green? But a print would be fun too. A nice “old lady” print. And what kind of fabric? It needs to have a nice drape, but not be too thin, since this is more of a winter dress. 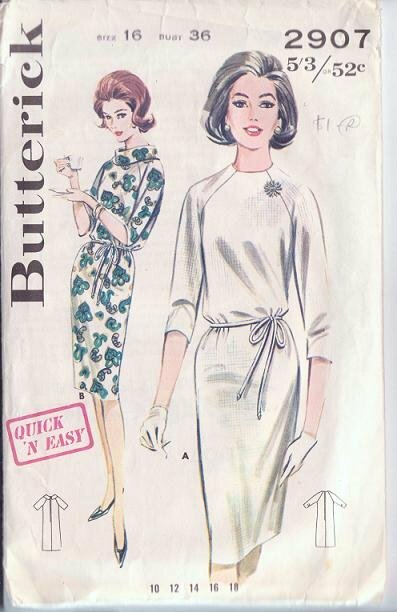 This entry was posted in Inspiration, Sewing Ideas, Sewing Projects and tagged butterick 2907, lucille bluth, lucille bluth dress, pattern, sewing project, vintage pattern by Nina. Bookmark the permalink.